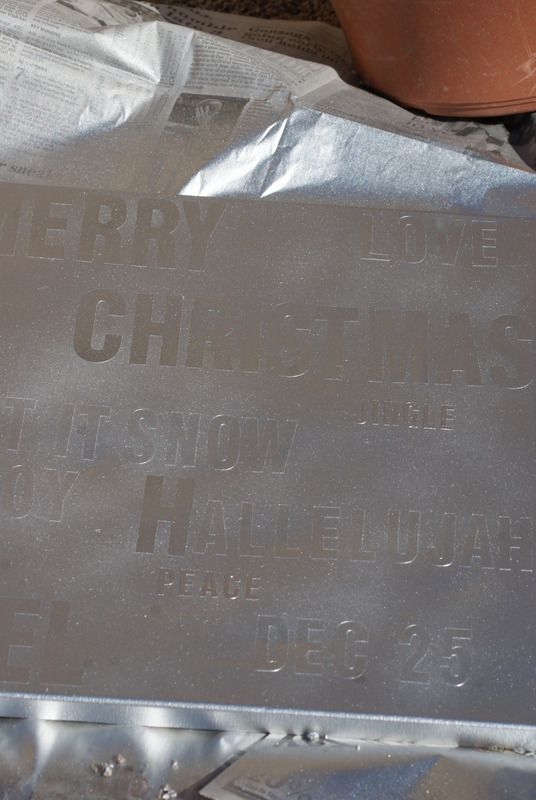 Spray Paint + Christmas = Shiny! 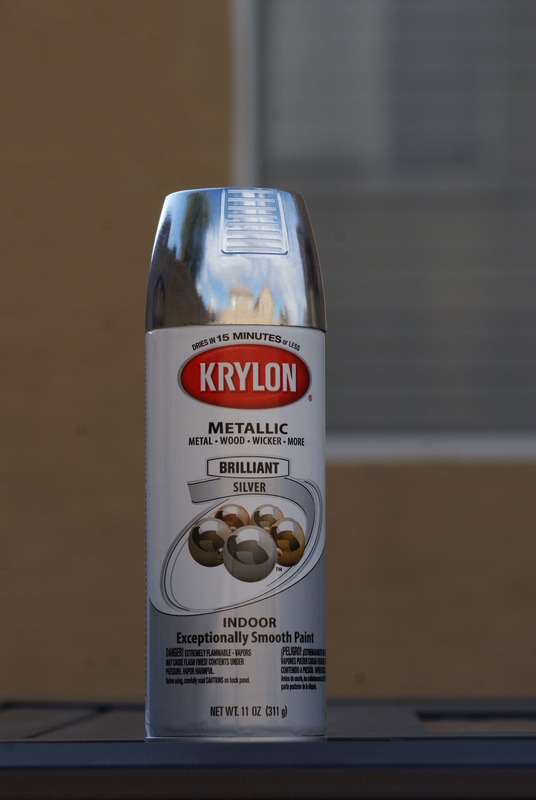 Back in the Summer I wrote about the spray paints I found at Kmart for super cheap (http://cleverpinkpirate.com/2011/09/05/paint-75-off-at-kmart-7-spray-paints-for-10/) and yesterday, I decided to make the Silver Metallic by Krylon my crafting partner for the day. Overall, I was impressed at the quality and the quickness of drying of this spray paint. 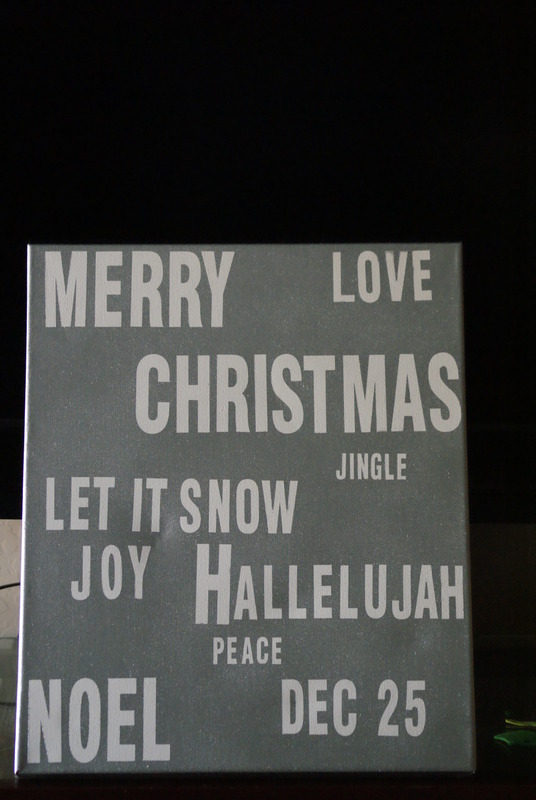 With the spray paint, I was able to do some quick last minute holiday decorating ideas. 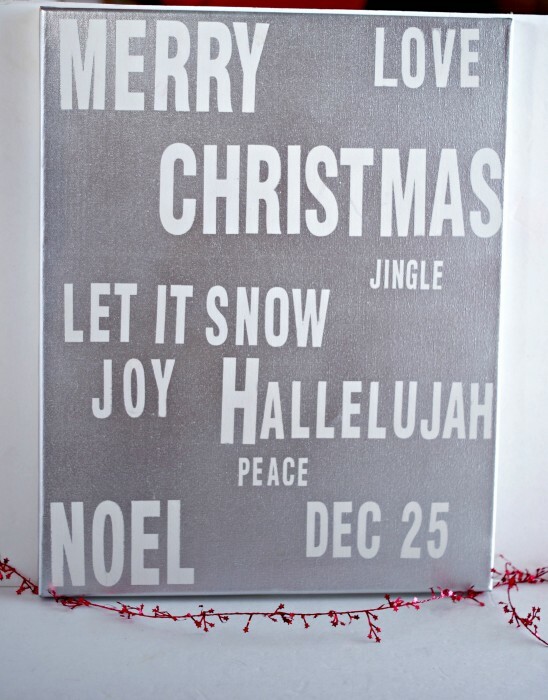 First, I wrote out some words on the canvas. I then spray painted over the whole canvas. Let it dry and then I removed the stickers. 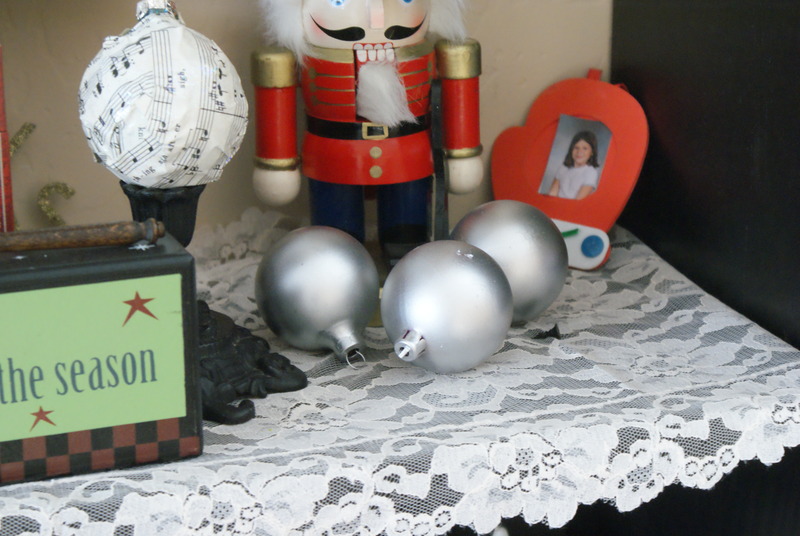 If you have some old ornaments, spray painting them to use as decor is really simple! 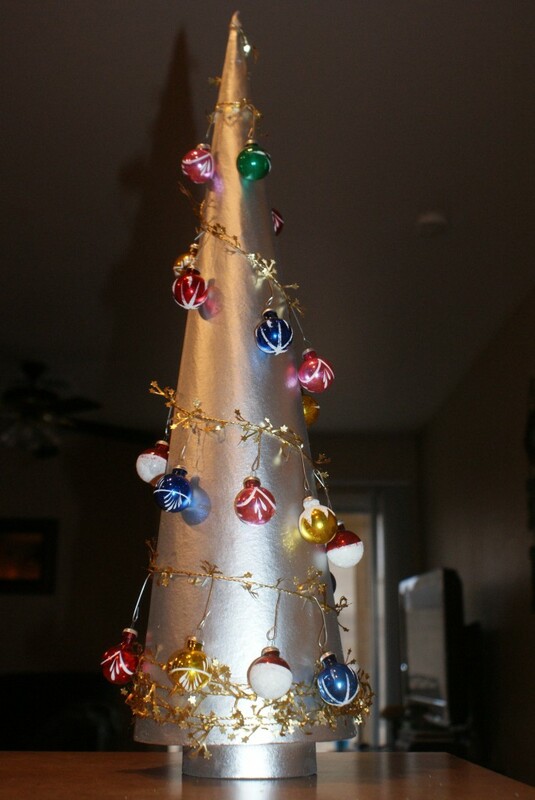 This was a cardboard tree I got in the Christmas craft section at Hobby Lobby. I just spray painted it with the silver and decorated it with a gold star garland and vintage ornaments. If you have some glass bottles lying around and access to a tree, this is a cute decor project. I took 3 beer bottles and spray painted them with the silver paint. 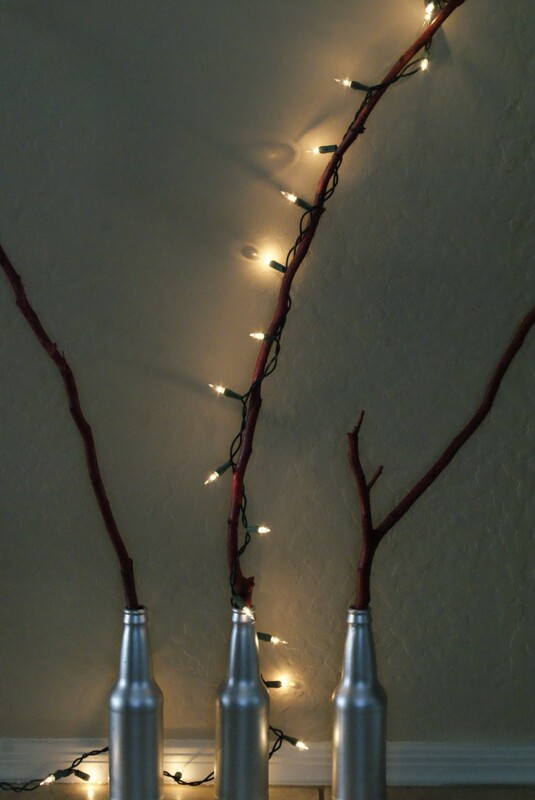 I then spray painted 3 large sticks with a reddish color and placed them in the bottles. I then took a strand of lights and placed them in our door way. 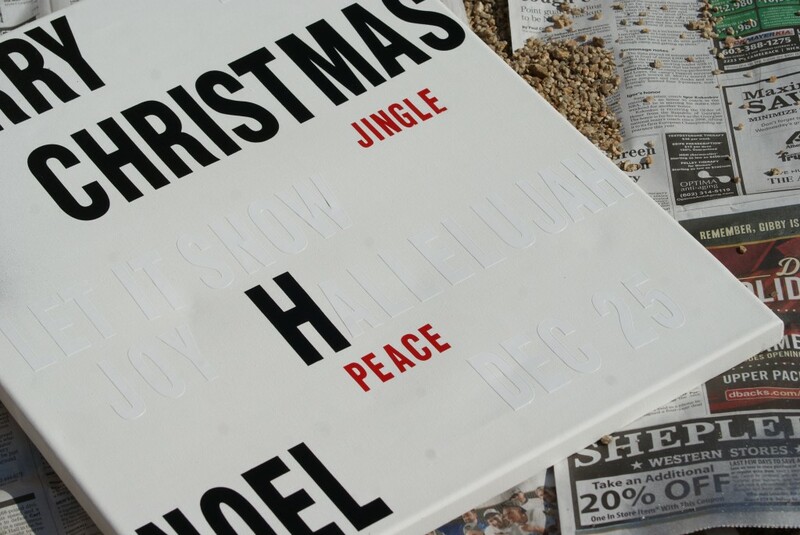 What have you done for the holidays with spray paint? 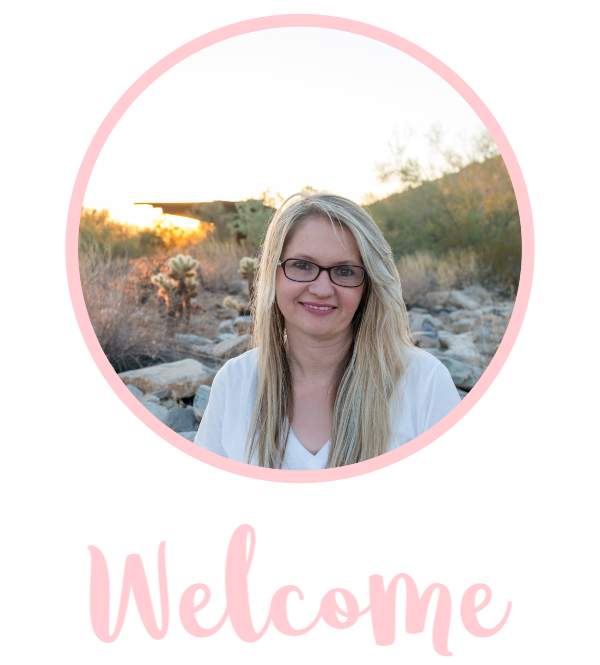 I am in no way affiliated with Krylon, photos and ideas expressed in this post are my own.